FANBOY PLANET.com . : Vader-Down-Announce :. I keep having moments where I remember picking up that first issue of Star Wars a long time ago in a drugstore far, far away. 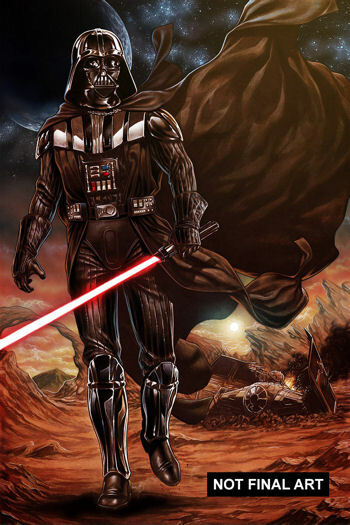 No way could I have dreamed that in 2015 I'd still be reading Star Wars comics -- and absolutely loving them. This is the way that comics work now -- you have spin-offs and crossovers and big events even though something like Star Wars in and of itself IS a big event. But I don't mind, because Marvel's Star Wars books have been so good.